FYI there was a huge patch on the PTR this past week (10 gigabytes). Some people have already determined there's a lot of store stuff buried in the files, so this might be the precursor to the beginning of the F2P beta. We'll probably hear a lot over Gamescom and the week after. UPDATE to title thread - Now includes a ton of new info from the PTR for Drop 6! Via Twitter, F2P launches September 29th. Plenty of distance between it and Heart of Thorns too, a good move IMO. ...I WANNA PLAY WITH HOUSING AND MAKE A TREEFORT. And put my Granok in a robe and give him stupidly cute little plantfriends and protect the Aurin and step on Chua! 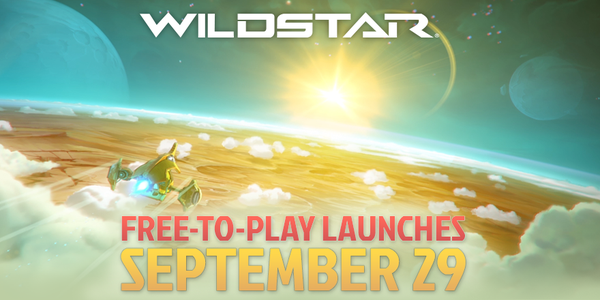 I am happy with the route they're going with F2P, and I look forward to getting back into Wildstar. Really enjoyed it when it first launched but I was trying to juggle to many games and IRL, and it didn't make the cut. I've been dabbling in SW:TOR (hence the profile picture) and while I like the game, mostly because of the unique class story lines and variable options on how your character can reply, I get hung up on the content/pay walls and the need to buy things like weekly passes to access some content, etc. On the flip side, however, I also understand the need for the company to generate revenue to support the game. I am more inclined to buy something cosmetic or unlock a character tab or bigger house plot than I am to pay to get access to certain dungeons or raids.